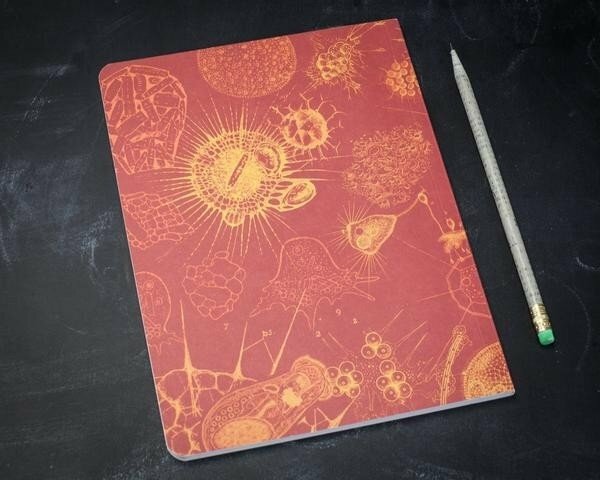 Microbiology Softcover Notebook under a microscope! 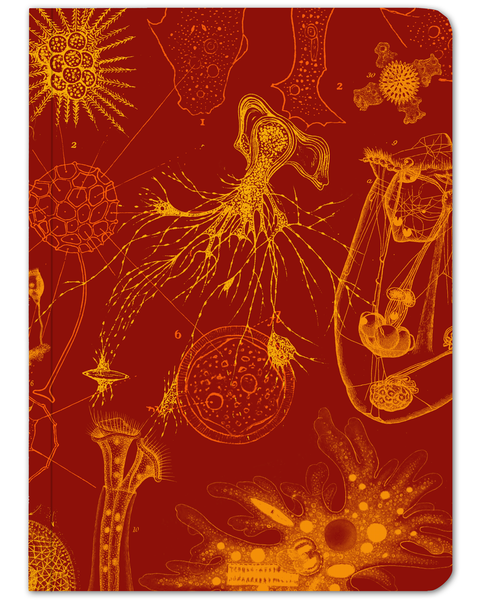 Amoebas, paramecium, and various microscopic pond organisms drift quietly across this flame red notebook. Emblazoned in the colors of fall leaves, this notebook celebrates the tiny world of tiny creatures that exists in droplets of water. 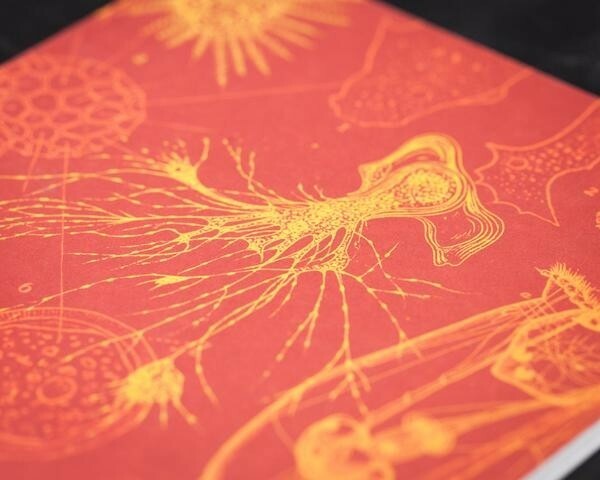 80 gsm recycled paper with 112 lined pages. 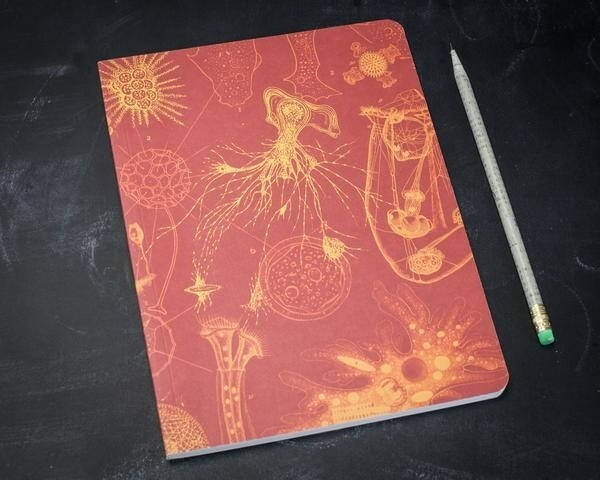 80 gsm recycled paper with 112 lined pages. Fountain pen friendly. Each item is packed securely for handling. White Blood Cell XL 12"